Lucy’s Deli is situated within Morley Market but is also accessible from outside the market allowing customers to take advantage of our early opening hours and small seating area to enjoy breakfast/lunch or just a snack. We sell fresh cold meats and homemade scones and quiches etc and a selection of sandwiches hot and cold made to order. 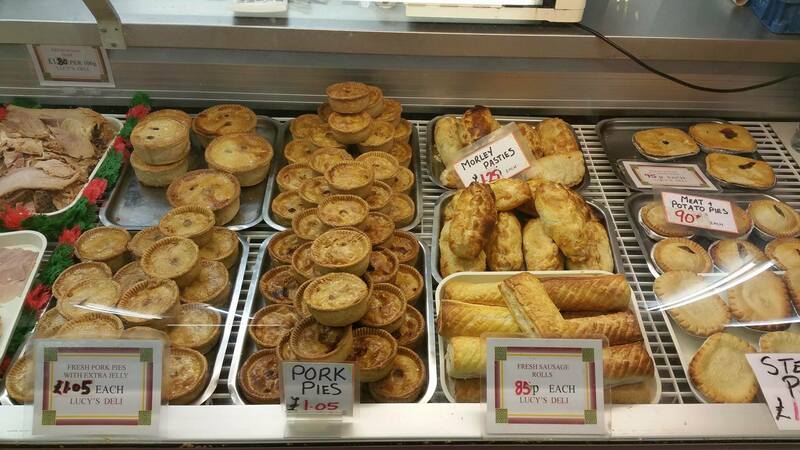 We sell a variety of pies including pork pies and pastries etc.